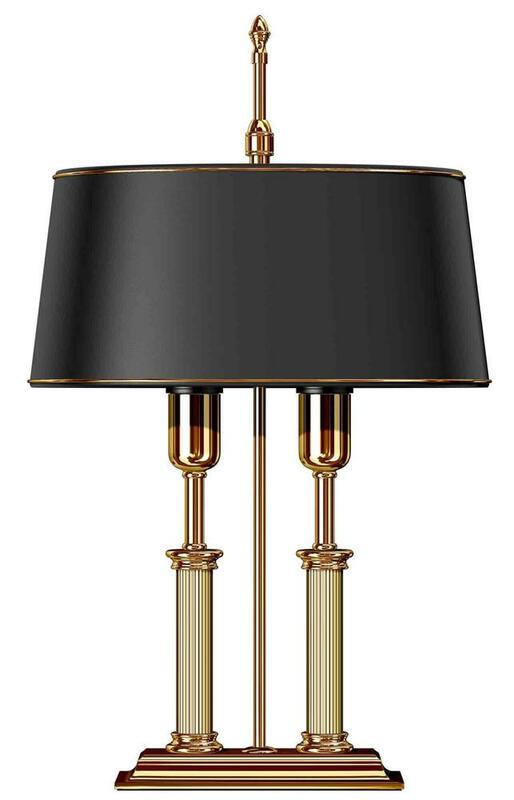 El Casco Double Double Column Lamp 23k Gold has an adjustable shade with matching trim. Heavy cast base. 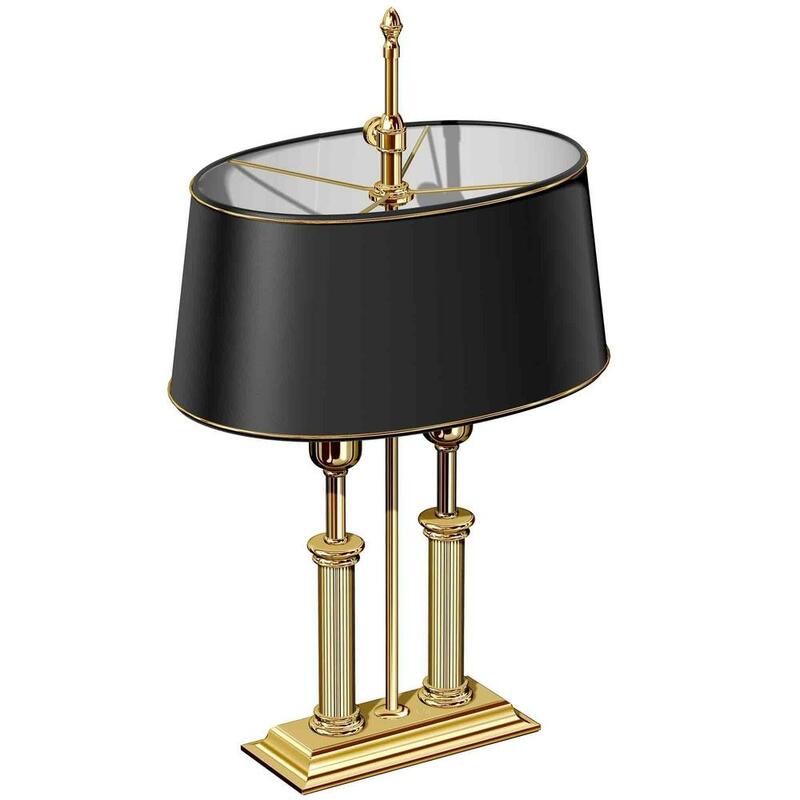 High: 34 cm. The lampshade in black or in beige colour.